Leah Hogsten | The Salt Lake Tribune A toast is made during the annual Taste of the Wasatch food and wine event Sunday, August 5, 2018 at Solitude. Many attendees were conflicted after learning that tens of thousands of dollars in proceeds were funneled to the host organization and its leader instead of being donated to its non-profit charity, Utahns Against Hunger, but decided to attend anyway since no refunds would be given. Leah Hogsten | The Salt Lake Tribune If I hadn't bought my tickets, I wouldn't have come, said Daneen Adams (center) of the annual Taste of the Wasatch food and wine event Sunday, August 5, 2018 at Solitude. Adams is the Open Doors Program executive assistant director, a community action program to aid the Davis County Food Bank. Many attendees were conflicted after learning that tens of thousands of dollars in proceeds were funneled to the host organization and its leader instead of being donated to its non-profit charity, Utahns Against Hunger, but decided to attend anyway since no refunds would be given. 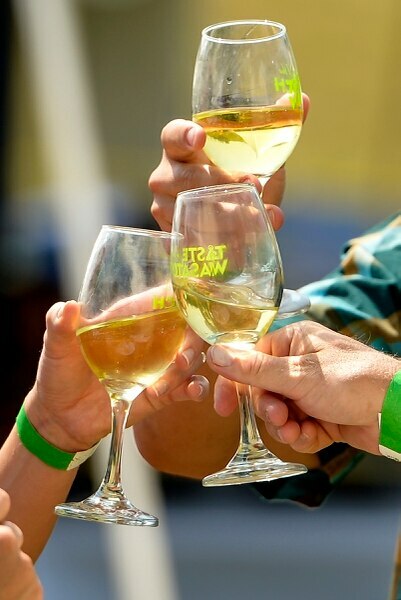 Leah Hogsten | The Salt Lake Tribune The 19th annual Taste of the Wasatch food and wine event Sunday, August 5, 2018 at Solitude. Many attendees were conflicted about the event and its non-profit mission to fight hunger locally after learning that tens of thousands of dollars in proceeds were funneled to the host organization and its leader instead of being donated to its non-profit charity, Utahns Against Hunger, but decided to attend anyway since no refunds were given. Leah Hogsten | The Salt Lake Tribune Desma Hengst, a student at Park City Culinary Institute, serves up Ajo Banco, a cold Spanish soup during the annual Taste of the Wasatch food and wine event Sunday, August 5, 2018 at Solitude. Leah Hogsten | The Salt Lake Tribune l-r Despina and Dewey Yeargin of Greenwood, SC have been attending the annual Taste of the Wasatch food and wine event for 12 years, seen Sunday, August 5, 2018 talking with their friend Chris Snarr at Solitude. The Yeargins plan their yearly Utah vacation around the Taste of the Wasatch and the Kimball Arts Show every year. This year they brought six friends with them. Leah Hogsten | The Salt Lake Tribune l-r Annaliese Eichelberger, Diana Colby and Kristen Kenley grab a quick bite to eat while volunteering at the annual Taste of the Wasatch food and wine event Sunday, August 5, 2018 at Solitude. Leah Hogsten | The Salt Lake Tribune The Whiskey Street and WhiteHorse Spirits & Kitchen booth (left) was vacant after Matt Crandall, executive chef announced Saturday that the restaurants would not be participating in the annual Taste of the Wasatch food and wine event scheduled for Sunday at Solitude over concern that tens of thousands of dollars in proceeds are going to the host organization and its leader instead of being donated to Utahns Against Hunger. Leah Hogsten | The Salt Lake Tribune l-r Brandy and Anthony Siniscal enjoyed an afternoon with friends during the annual Taste of the Wasatch food and wine event Sunday, August 5, 2018 at Solitude. Brandy Sinical said event organizers need to be transparent after learning that tens of thousands of dollars in proceeds were funneled to the host organization and its leader instead of being donated to its non-profit charity, Utahns Against Hunger. Leah Hogsten | The Salt Lake Tribune The truth lies somewhere in the middle, said Old Town Cellars co-founder Stephen MacKay (right) talking to his friend David Campbell at the Old Town Cellars booth at the annual Taste of the Wasatch food and wine event Sunday, August 5, 2018 at Solitude. MacKay, other vendors and attendees were conflicted during the event after learning that tens of thousands of dollars in proceeds were funneled to the host organization and its leader instead of being donated to its non-profit charity, Utahns Against Hunger. That's the whole reason why we're here to pour five grand worth of product for free, said MacKay. 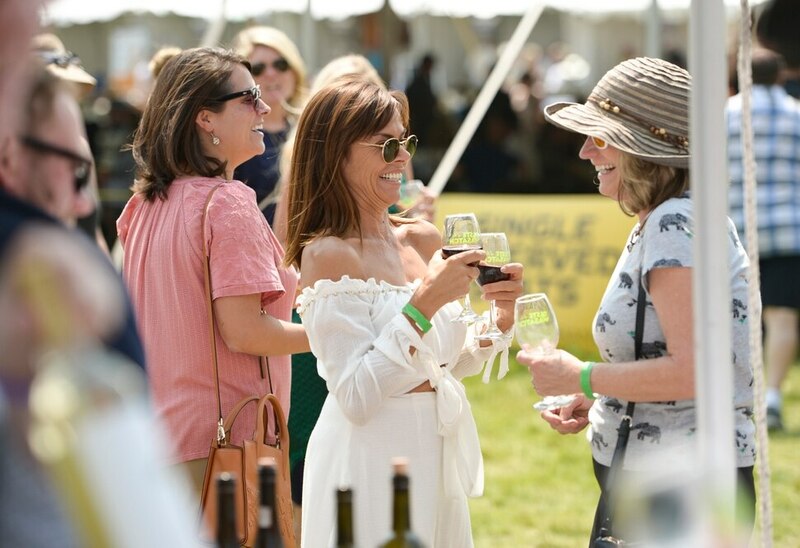 Leah Hogsten | The Salt Lake Tribune Crowds at the annual Taste of the Wasatch food and wine event Sunday, August 5, 2018 at Solitude. Many attendees were conflicted after learning that tens of thousands of dollars in proceeds were funneled to the host organization and its leader instead of being donated to its non-profit charity, Utahns Against Hunger, but decided to attend anyway since no refunds would be given. Solitude • For more than a decade, Dewey Yeargin has come to Utah from Greenwood, S.C., and attended the Taste of the Wasatch, an annual event of wine tasting, beer drinking and food sampling from dozens of elite chefs. He liked his first experiences so much, the event is now central to his annual trips to Utah. 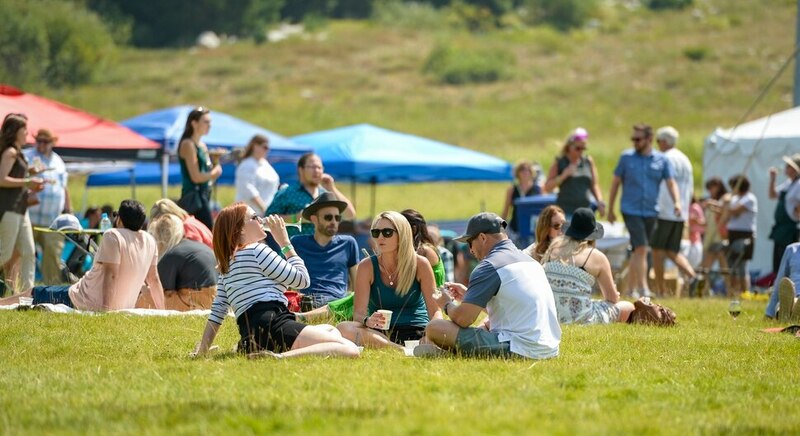 He and his wife, Despina, started bringing their friends and, on Sunday, they all sat in the shade of a tent, while hundreds of attendees ate and drank in the sun at Solitude Mountain Resort. “It’s for a good cause,” Despina Yeargin said. Dewey Yeargin noted he was told 80 percent of the proceeds go to area charities fighting hunger. That thought helped the Yeargins stomach the “irony,” they said, of eating a lot of food: their $110-per-plate entry fee was helping to feed the hungry. The Yeargins hadn’t heard the recent news that 3 Squares, the nonprofit that organizes the event, hadn’t given the beneficiary of last year’s event, Utahns Against Hunger, a promised $50,000 from the proceeds. The leader of the Green Urban Lunch Box, another Salt Lake City nonprofit, said his group was also promised money it never received from the event three years ago. UAH said it was also shorted $10,000 in 2016. The money helped cover expenses for 3 Squares, including the salary of its executive director, Karen Zabriskie, who declined to talk with The Salt Lake Tribune on Sunday. Zabriskie previously told The Tribune the shortfalls happened because she was trying to expand the role of her organization, which provides cooking classes for low-income children. She hoped to create a kitchen that could be rented by others in the community to generate money for 3 Squares. Zane Holmquist, board chairman of 3 Squares and a vice president and corporate chef of Stein Eriksen Lodge, said Saturday that Zabriskie has offered to resign. The full board is expected to discuss the issue in coming days. Several attendees said they were upset their money wasn’t helping Utahns Against Hunger as promised. Zabriskie previously told The Tribune attendees didn’t all attend to help feed children, and some who came Sunday agreed. This year marked the first time Stephen MacKay’s Park City-based Old Town Cellars had enough employees to stay open at home and staff a booth at Taste of the Wasatch. He said he viewed the event as exposure and was happy to serve the people who’d already bought tickets before the controversy came to light. But he’d like the proceeds to go to charity. Among the booths Sunday were empty ones left vacant by Salt Lake City businesses that backed out shortly before. The owners of Copper Onion, Whiskey Street, 3 Cups coffee and Flourish Bakery didn’t take part. Kauffman has volunteered for the event for years. While he was conflicted about coming, he said he wanted to make sure the event that hundreds had bought tickets for went on for a 19th year. He just hopes changes will be made before the 20th now that the issues are generating headlines. “I guess there’s going to be some soul-searching going on,” he said.